Jesse Tyler Ferguson and partner, Justin Mikita, have created an exclusive special edition bow tie by “Tie The Knot” for the 2013 Tony Awards. This stylish black textured silk necktie with subtle silver and royal blue stripes is formal enough for black tie affairs such as the Tonys, or for just hanging out on a Saturday in Central Park. “Tie The Knot” was founded to raise awareness and advocate on behalf of marriage equality. All proceeds benefit United States organizations fighting on behalf of LGBT Civil Rights. 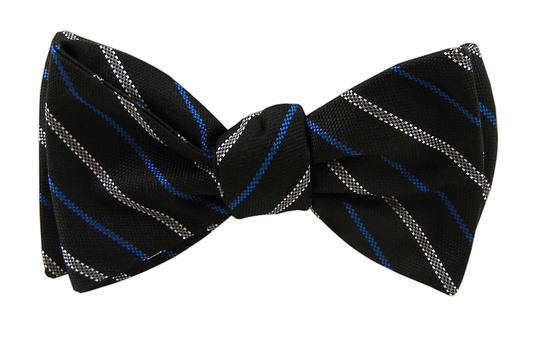 This exclusive, limited edition Tony bow tie is available for purchase at www.TheTieBar.com for $25. The Antoinette Perry “Tony” Awards, which are presented by The Broadway League and the American Theatre Wing, will be broadcast live from Radio City Music Hall, on the CBS television network on Sunday, June 9, 2013. For more information on the 2013 Tony Awards, please visit www.TonyAwards.com. For more information on the fight for equal marriage rights, visit the Tie The Knot website www.tietheknot.org. 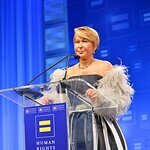 Using a fun play on words, Tie The Knot was founded to raise awareness and advocate on behalf of marriage equality in the United States through art, fashion and entertainment. Combining elements of humor, style and individuality, Tie The Knot releases a limited edition collection of neckwear each season. Tie The Knot’s debut line, which launched in November, sold out in less than four weeks. The spring and summer collections have nearly sold out as well. For more information on the fight for equal marriage rights, Tie The Knot will keep an active blog with up-to-date news and developments throughout the country on their website. You can also follow Tie The Knot on Twitter, Facebook, Pinterest and YouTube.